A photo of the Stuyvesant Flats in 1935. The 14-story apartment complex at the corner of 18th Street and Irving Place in Gramercy doesn't exactly stand out from the crowd. Though large and appealingly close to Gramercy Park and Union Square, it's a postwar box not easily distinguished from others around the city. But the building sits on an important spot in New York City history. 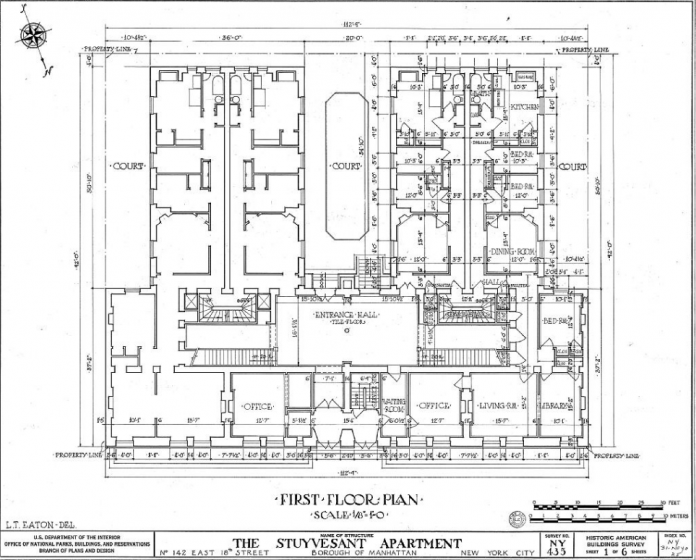 The site was formerly home to the Stuyvesant Flats, the first apartment building in New York City. 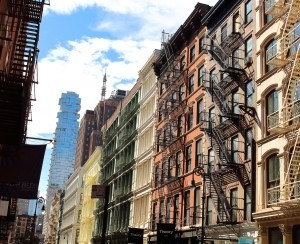 The New-York Historical Society explains that while New York did have multi-unit tenement buildings before the Flats were completed in 1870, they were not technically considered apartments because they lacked private toilets. Those tenement buildings housed the city's poorest residents—a half million of them. 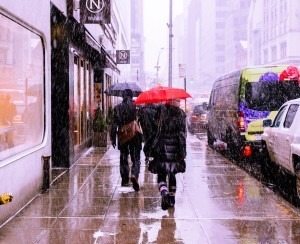 For the wealthy, meanwhile, living in mansions, townhouses, or high-end hotels was fashionable at the time, according to the Bowery Boys podcast. This left the city's emerging middle class with few options, until an architect named Richard Morris Hunt and a wealthy investor named Rutherford Stuyvesant stepped in. Stuyvesant had studied in Paris, and he was charmed by that city's flats, apartment buildings with communal courtyards. He wasn't the first to be taken with French-style multi-tenant living. The Bowery Boys note that Calvert Vaux, who famously co-designed Central Park with Frederick Law Olmsted, thought these same "Parisian buildings" should be replicated in New York. Richard Morris Hunt, the architect who designed the pedestal for the Statue of Liberty, was intrigued by this idea. Hunt was a friend of Stuyvesant's, and the two men decided to build the city's first apartment building on a plot of land Stuyvesant owned. Stuyvesant financed the project for a mere $100,000, according to the Bowery Boys. The five-story walk-up building had four apartments on the bottom four floors, and four artist studios on the top level. The Stuyvesant had artists in residence throughout much of its history (more on that in a second). 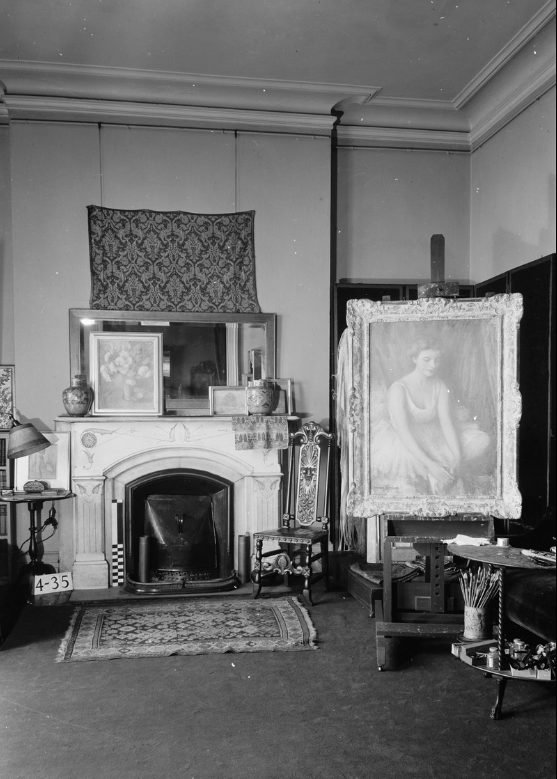 Each apartment had three bedrooms, a parlor, a servant's room, a bathroom, and a kitchen, according to the New York Times. 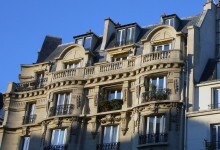 The building's Gothic exterior and mansard roof took inspiration from Parisian buildings. A floor plan of the first floor of the Stuyvesant. Though all the units were rented by the time of its opening, Daytonian in Manhattan writes, not everyone was impressed. Some neighbors told The Sun that the Stuyvesant was a "harmful invasion on their homes." And the New York Times story quotes a publication that criticized the look of the building's facade as "rambling and incoherent." NIMBYism, it seems, has been a constant throughout the past few centuries of New York history. Undeterred by their neighbors' disapproval, a number of prominent New Yorkers became tenants at the Stuyvesant, where rents ranged from $76-$120 a month, according to the Times. Calvert Vaux and his wife Mary moved in, as did a sugar importer named Albert De Lamontaigne and the artist Worthington Whittredge, who was famous for his landscape paintings. Daytonian writes that another original resident was Bayard Taylor, a poet, novelist, and travel writer. Today PS 158 on the Upper East Side bears his name. Libby Custer, the widow of General Custer, moved into a first-floor apartment. The Bowery Boys say that she made this apartment a home base for repairing her husband's legacy. In 1884, a fire broke out in her apartment and residents fled to the roof. No one was harmed. In its later years, the Stuyvesant continued to be a draw for creative people. The sculptor Louise Bourgeois, for instance, lived there in the mid-1940s, and created works out of wood she found on the building's roof, according to the Easton Foundation. A living room in the Stuyvesant in 1934. 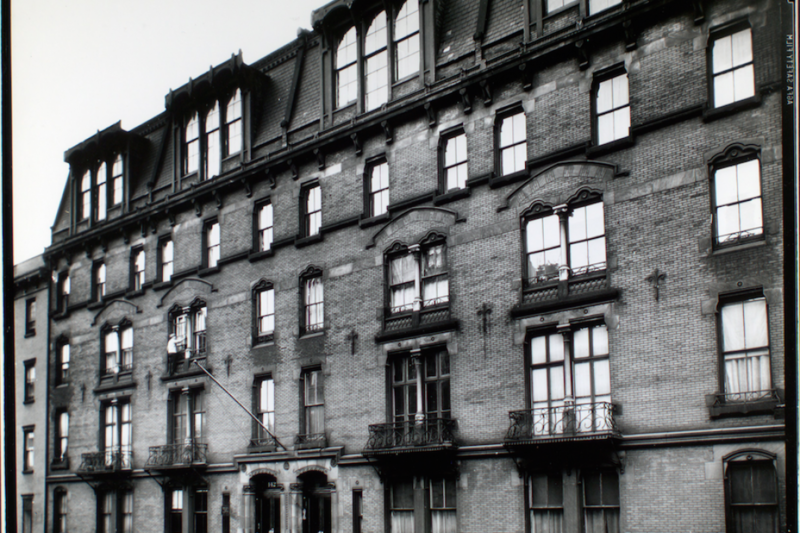 The success of the Stuyvesant spurred the development of more apartment buildings, though for a time they were still referred to as "French flats." The Dakota, for instance, one the city's oldest and most famous buildings, went up in 1884 and today remains synonymous with luxury and prestige. 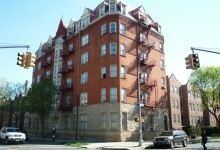 The Osborne, another of the oldest apartment buildings still standing, was completed in 1886, according to the Real Deal. Today, it's a co-op and a New York City landmark. Apartment buildings began to proliferate, but for many years they remained squat because tenants, understandably, were only willing to climb so many steps. Improvements to the mechanics of the elevator in the early 20th century helped introduce high-rises—and coveted penthouse apartments—to the city, the New York Post reports. 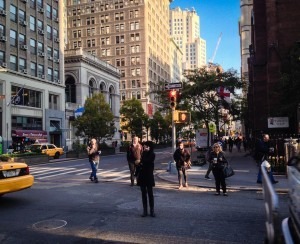 The Stuyvesant became a victim of its own success. The genius of the French flat transformed the way New Yorkers lived, and by the 1950s, advances in apartment building design made the Stuyvesant seem outdated. 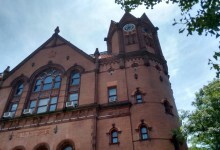 The building was demolished in 1957, a handful of years before the creation of the city's Landmarks Preservation Commission, which perhaps might have moved to landmark the property had it been around. The rental complex that replaced it, Gramercy Green, was completed in 1960. Recently, a studio there rented for $2,700 a month—a far cry from $150 for a three bedroom, although it's not so different when you account for inflation.